Our training academy program consists of workshops, certification, and enablement for Tier 1, Tier 2 and End Users. Enterprise Systems Training Academy can help your team get the skills they need to scale their capabilities to secure profitable business and manage your clients in this ever evolving market. Learn the capabilities of your products and solutions through practical knowledge from the experts at Enterprise Systems, with best-in-industry training at your team’s pace and convenience to apply that knowledge in your environment. For every level of knowledge and expertise, Enterprise Systems Training Academy can enhance your ability to effectively deploy and use the applications and technologies we distribute. Enterprise Systems Training Academy regularly creates exciting incentive programs tailored to our partners’ needs. Our incentive programs are designed to motivate your sales, pre-sales and post-sales team in order to secure and deliver solutions from our leading vendors’ portfolio. Our training academy program consists of workshops, certification, and enablement. Tailored, hands-on program for product/solution experience; project simulation for upcoming implementations to make sure you deliver smoothly first time every time. 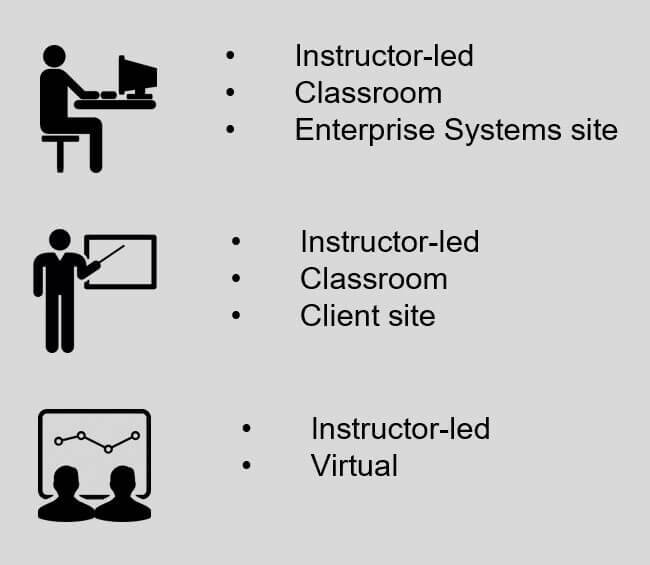 Enterprise Systems Training Academy delivers certification program based on our vendors’ curriculum. Enterprise Systems Training Academy enables our partners sales, pre-sales and post-sales team effectively by utilizing our expertise based on collaboration with our vendors. The programs run within Enterprise Systems Training Academy are monitored via an on-line portal which gives you the ability to access the training material as well as the individual training progress. Enterprise Systems Training Academy provides high quality training and hands-on experience through multiple, flexible environments at our clients convenience.